The modern office is turning to more innovative ways to increase productivity in workers. 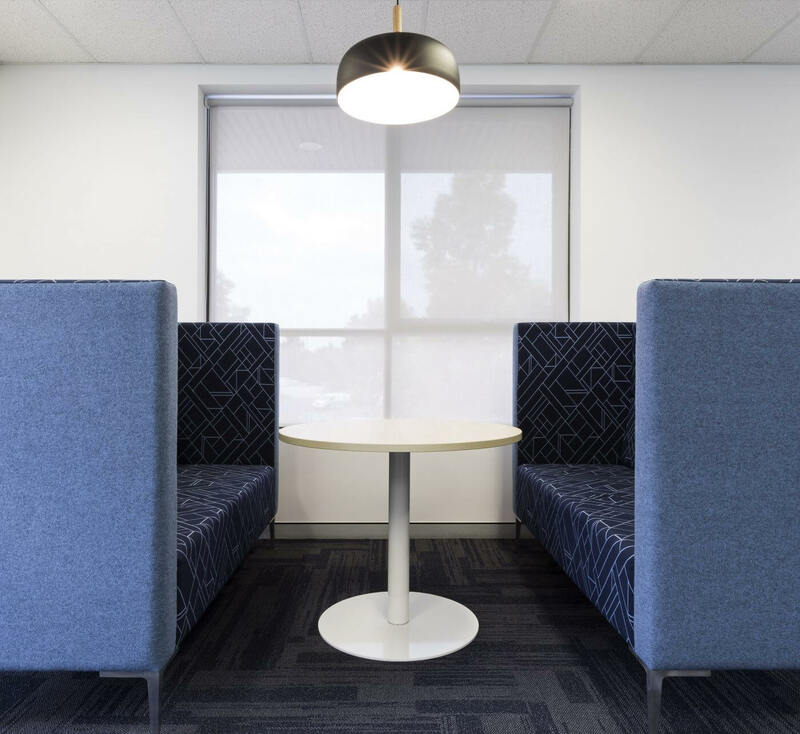 Office designers understand that the office environment impacts upon workers’ productivity (as we explored in one of our last blogs), so here we’re going to look at some of the biggest trends that office fitout professionals are trying in order to inspire and motivate workers. In Japan, they’ve been doing it for years – inemuri means falling asleep on the job, and is an indication of working too hard rather than laziness, and the practice is even admired. Where napping used to be a fireable offence in a workplace, these days napping is encouraged. Some workplaces have napping stations or pods to encourage workers to take powernaps to increase productivity, so they’re not dozing at their desk instead. As people understand the importance of slowing down and undertaking more relaxing activities such as yoga and practicing mindfulness, offices are catching onto the trend. Some have installed meditation and yoga rooms where workers can go and take a breather, listen to some quiet and calming music and just wind down for a few moments. Everyone enjoys a bit of green in their day, as it brings us back to nature. Green has a calming effect, and as interior design often draws from psychology, many offices are choosing to add a bit of greenery to their spaces. This can come in the form of painted green feature walls, indoor plants, or a green wall of lush office-friendly plants. Everyone likes to have a bit of fun in the office, and what better way than with some light-hearted games. Getting up from your desk, having a stretch and taking a time out for a hit of ping pong or the golf ball is a great way to refresh and refocus for increased productivity in the workplace. This is a luxury that more and more offices are opting for, and it encourages workers to get those endorphins going and focus on their wellbeing. A healthy body means a healthy mind, and this is reflected in the work that a person does. At Crest Interiors, we’re all about creating the perfect office atmosphere, starting with an interior fitout. If you’re seeking highly professional and on-trend office fitouts, get in touch and call in the experts.